What makes up meaningful communities in smaller towns that are mostly made up by residential subdivisions? In Viby our first meetings with a community organization called Kulturcosmos have shown a group of citizens that are very concerned with revitalizing social functions around the town centre. They have already been engaged in the strategic development of this. In the CAPA.CITY project we’re aiming to expand this group even more to explore this question. 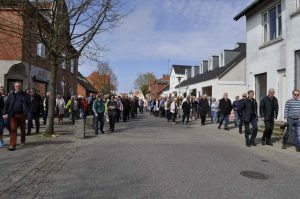 GivRum and Roskilde Univesity are currently setting up a framework of involvement and experimentation organized around festive events that aim to show case alternative uses of the town centre.